Martin Luther King Jr Day Jan 15. Evening Classes are Scheduled as Normal. 12pm Class is Cancelled. Jan. 14, 2018 – Our soft opening was on Monday, January 8th, which means we’ve just completed our first full week of training at our new location, 80 Nassau Street! 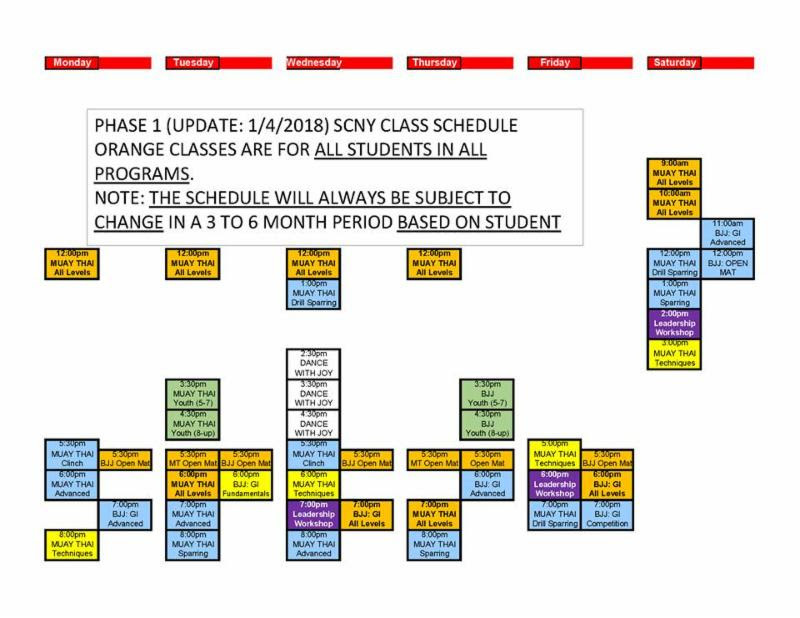 We’re so glad to have brought in 2018 with you and we look forward to growing the SCNY family and school! In honor of Martin Luther King Jr. Day, 12pm Muay Thai All Levels class will be CANCELLED on Monday, January 15th. All other classes will remain on the schedule as normal. Be sure to look over the new class schedule below. Please note that this is a DYNAMIC SCHEDULE that will be REVIEWED QUARTERLY. Classes will STAY ON THE SCHEDULE or MOVE TO A DIFFERENT TIME, BASED ON ATTENDANCE. This is done so that we can better serve our member community efficiently with the classes that the majority will want at a specific time. ← Monster Muay Thai OPEN Classes on Halloween at Square Circle New York! Free Class! Sign Up Today! March 2019 – The Month in Review at Square Circle New York Training Center! Square Circle New York Welcomes 2019 with News and Announcments! Muay Thai Smoker Exhibition at Chok Sabai Dec 8! 30 Day FREE Trial! Adult and Youth Programs! Limited Time Offer! Get Started Now! © 2019 Square Circle New York, All Rights Reserved.